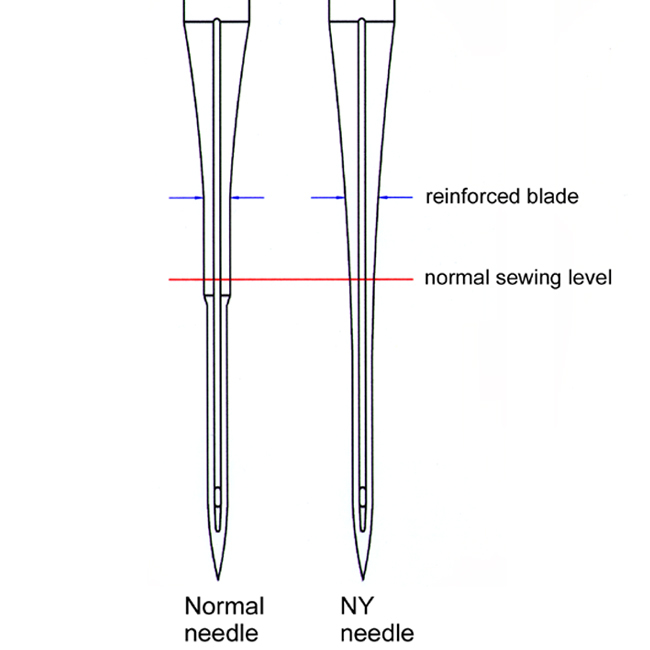 TNC Reinforced NY Needle(05) - Triumph Needle Corp.
formation, needle shaking and thread breakage. 30% longer life than conventional needle. Less damage percentage of sewing machine parts. Less needle deflection and shaking.